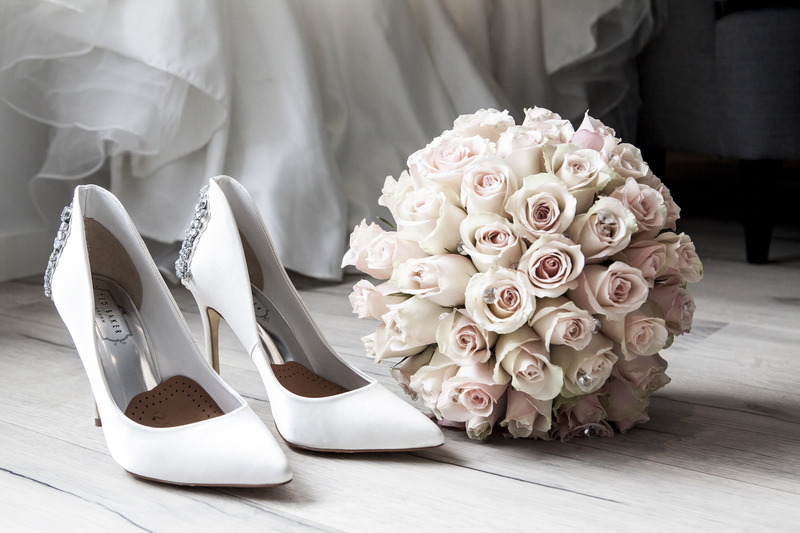 When planning for your big day, you’d be forgiven for suffering a mild panic attack and reaching for the brown paper bag with your sweaty palms. The list of things to organise if never ending and even though you have set a date for next year, you know how quickly time passes by. Marrying the love of your life should be the most memorable day of your life. By putting into motion your preparation early, you should be able to account for every eventuality and potential blip. While you may have planned out what needs to be organised, you may be a little more perplexed by the specifics. You know you need to sort out your dress, but what look are you going to go for? You need to arrange your entrance to the wedding venue, but are you going to select a traditional classic car or choose something a little more kooky like a motorbike and sidecar or a hot air balloon? The possibilities are endless and your choices, from the wedding cake to the table decorations, will make your wedding wholly bespoke to you and your partner and create a memorable day for all of your special guests. If you want to forego the traditions and investigate less conventional options for your big day, take a look at these ideas to give you some quirky inspiration. When it comes to the wedding reception, it goes without saying that you need some music. You could, of course, source a typical wedding DJ to belt out some classic romantic songs alongside some cheesy pop. For a more personalised approach, you could even ask each of your guests to write down their favourite song of all time when replying to invitations. When you’ve received back all of your RSVPs, you can make a playlist of all of the songs and hand this to your DJ to play. This way, you’ll ensure that people are up on the dance-floor throwing some shapes to their favourite tracks. Live bands are also a great way to express your music tastes. If you love jazz, you could source a funky old school band. If a particular artist means a lot to you as a couple, you could secure the services of a top quality tribute act. To think totally outside the box, you could take your first dance away from the romantic slow number and go flash mob style alongside your best man, bridesmaids, and parents. No one would forget your wedding in a hurry. After the ceremony, there is an inevitable lull as people congregate at the reception venue, waiting for the traditional photographs to be taken, the wedding breakfast to be set up and for the bride and groom to freshen up. There’s a lot of loitering and polite small talk amongst your guest. To prevent them from getting bored, and to add another element of fun to your day, why not consider hiring a photo booth from a specialist company such as Booth Boy. These inventive little cubicles can be set up in your venue easily and contain a variety of high-quality props to create visually stunning and fun shots. Break away from tradition and get some photos of your wedding guests at their most carefree. You could also think about sourcing some mammoth outdoor games like giant Connect 4 and Jenga to pass the time as people wait outside your venue on a balmy day. These games can also be utilised long into the evening as your guests mooch around and enjoy the ambience of the setting. Are you going to have a sit down meal or a buffet type eating experience? Either way, you don’t have to go down the prawn cocktail or vol-au-vents route. Think about your favourite food or a meal that you had with your partner that was special and emulate this for your guests. It could be the first meal you had together, the awesome cuisine you had on your first vacation together, or it could be the first meal that your spouse ever cooked for you. Every wedding has got to have a cake, or two, or fifty. Depending on whether you are going traditional three tier or contemporary cupcakes, your choice of sweet treat can elevate your wedding from normal to extraordinary. You may want to consider places, hobbies, colours and words that mean something to you as the happy couple. If your partner proposed on the beach under the stars, emulate that in your cake complete with fondant figurines. Theme cakes are becoming more popular as people shirk away from tradition and opt for the more bespoke. Don’t feel that you have to go for the dry old fruit cake that seems to be par for the course at weddings. If you love red velvet cake, get someone to bake it. If lime and coconut is your sponge of choice, go for it. When sharing your nuptials with your nearest and dearest, it’s great to add those corny touches. It wouldn’t be a wedding day without them. Set up a projector and as you and your guests are chomping on your wedding breakfast show them a slideshow of your lives and how they became intertwined. Begin with photos of both of you as children, followed by adolescence and uni days. Then move onto all of your happiest moments together, all culminating in the time when your new spouse took a selfie of the two of you, and you were photo bombed by a goat. Telling your soulmate that you are going to spend the rest of your life with them in front of your family and friends is special. You only have one chance to get it right, and you don’t want the shackles of tradition preventing you from achieving the wedding day of your dreams. Allow yourself to think outside the box and be inspired to go for the unconventional option when planning your big day. Looking for the classy and lovely wedding jewelry & cheap wedding rings to have? if so, why not to get them at this online cheap wedding rings store called Jeulia. Yes! all the fancy rings and even other type of jewelries are selling over here in there reasonable prices hence no doubt why people are keep on suggesting this shop to their loved ones, friends and colleagues. I actually pretty pleased on their items especially on the pricing ranges because this was my first time to see such elegant wedding sets for just only a 200 bucks which is a rarely finds, isn’t? and they did have some others too like necklaces, bracelets and even some headpieces that are pretty cute to wear quite sometimes. Go check the shop yourself now and see on how lovely their selling items were! Also, to the couple who had planned already to hold an engagement party to announce heir upcoming wedding. This shop is really a perfect for you to get your engagement rings as they have a wide array of selections for this and am telling you that you can amazed on what the shop can offer you! If you dont have an idea on what to get for your fiance. I will then suggest you to get this infinite two tone ring here because this kind of rings are the mostly considered and usually picks for this shop and Jeulia has all the finest two tone rings available today in the market hence you should get them now to make your partner feel special and felt your love. But of course, if you didn’t find this ring best suits on your taste, you are really welcome to dig in the shop and find the perfect ring sets for both of you! No worries, as the shop has a bunch to offer..
Don’t Forget To Plan These Things When Preparing For Marriage! As soon as you get engaged, you need to put your planning hat on. 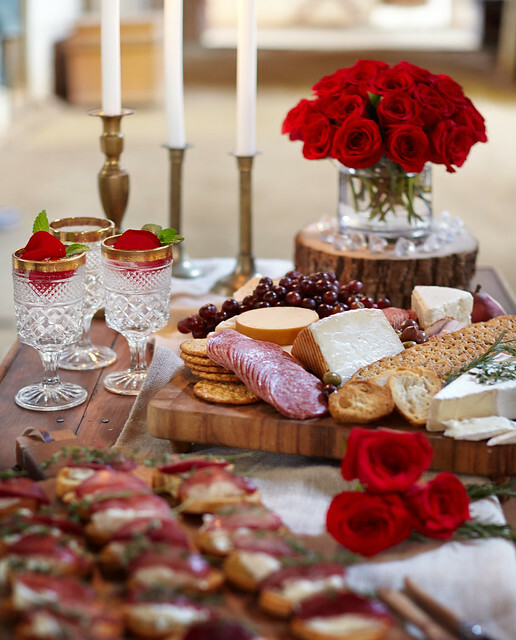 The first thing to think about is your engagement party. This party is basically where you announce your engagement and enjoy a nice evening with friends and family. You don’t have to go too crazy with this, perhaps just book a nice venue at a cocktail bar and enjoy some casual drinks? Or, you could host the party at home and invite people around. It should be very chilled out, you haven’t got to go crazy! The great thing about getting married is that there are so many celebrations to plan! As well as the engagement party, you need a bachelorette party. This is to celebrate your marriage and to have fun one final time before you tie the knot. Planning this party is a must as it should be a really big celebration. You need to go all out and plan a night with your girls that will live long in the memory. Think about party bus rentals from Bergen Limo to help you get around in style. Then, think about the venue and where the main party will take place. Make sure everything is planned out so it all runs smoothly and you have a great time. Your wedding ceremony is extremely important, and there’s one massive question to answer. 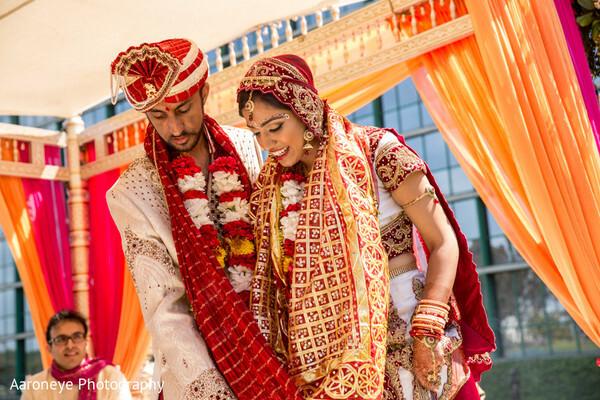 Do you want a traditional wedding ceremony or a more contemporary one? A traditional one is in a church and hosted by a priest who reads bible verses and pronounces you man and wife. A contemporary one is pretty much anything you like, there are just no religious elements to it at all. It’s vital you decide which one you want, as it determines everything about the ceremony. Non-religious ones mean you can get married in any location and pretty much decide what’s said and what gets read out, etc. Traditional ones tend to follow a set format and are held in a church. Decide which is for you, then you can start booking a venue and getting things sorted. Of course, you need to think about what happens after the ceremony. Figure out the best place for a wedding reception. Hotels are very popular, and some people rent out restaurants or bars for the day too. A lot of planning goes into this, it’s arguably the toughest thing to plan when you’re preparing for marriage. Everything needs to be considered, from the design of the place mats to the musical entertainment. 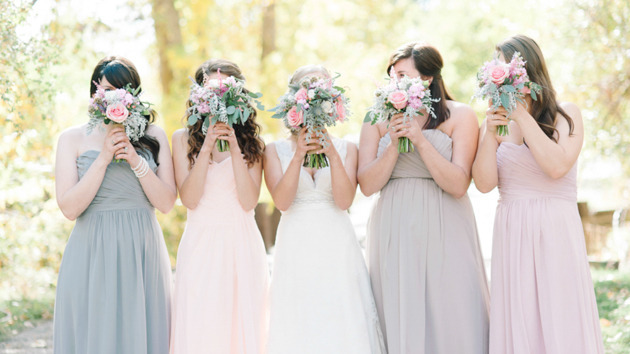 Finally, don’t forget to decide who your bridesmaids and maid of honor will be. Not only that, make sure you plan what they’ll wear, and who will give speeches, etc. Your bridesmaids are a very important part of your ceremony and need to be thought about. There’s no limit to the amount of bridesmaids you can have, but you may face a tough decision picking them from your friends. So, some people stick to family-only to avoid friendship feuds. When you’re preparing for marriage, these are some of the main things you need to think about and plan. 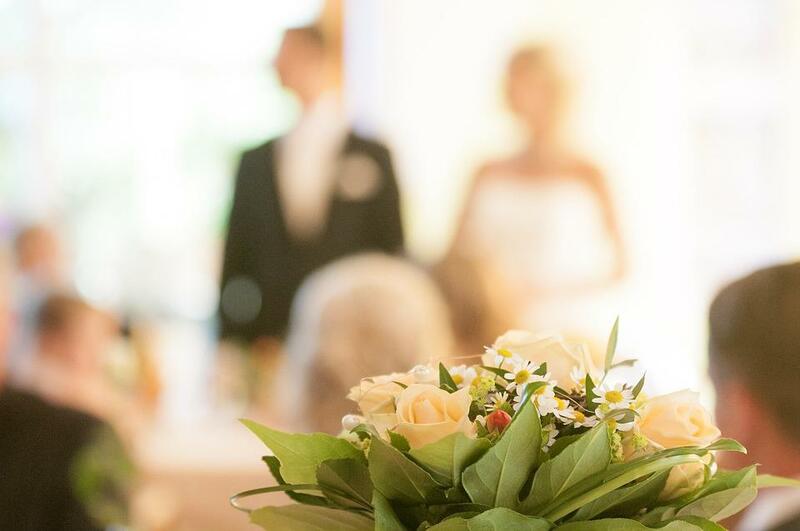 Get them all planned out in advance, and your wedding experience will be a lot less stressful.